Whether you are a manufacturer of professional hair color products or a salon owner looking for applicator and spray bottles, we have you covered with our extensive selection of plastic hair color bottles and jars! Our white HDPE vapor lock pails could be ideal for many bulk sized hair color products such as lightening powders, deep conditioning treatments and additives. The pry off lids fit securely on each pail ensuring that the contents will not leak or spill. 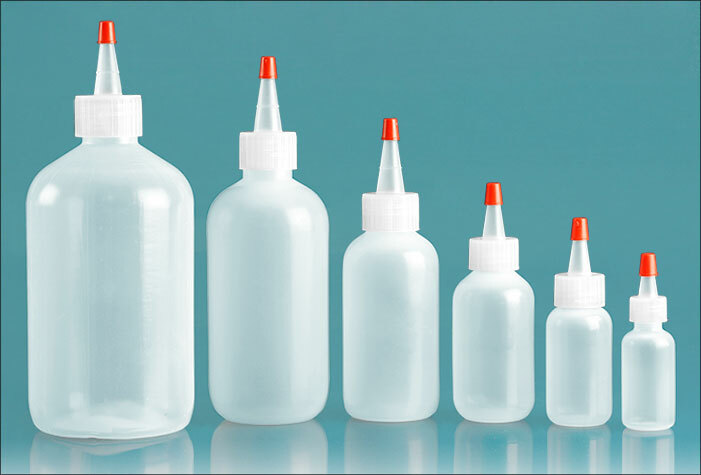 The natural HDPE trigger sprayer bottles could be ideal for wetting hair before coloring or styling. 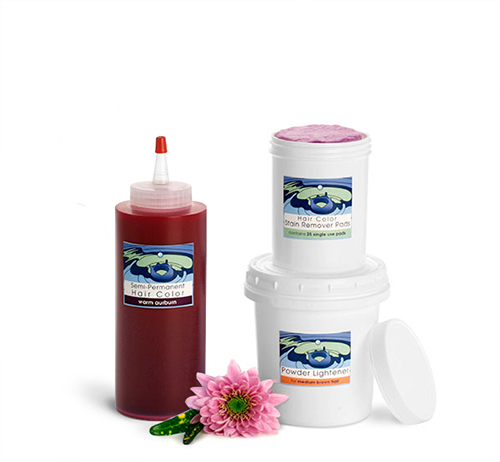 Then for mess free hair color application, try using our natural LDPE plastic squeeze bottles with long tip spout caps. The plastic spout caps on these hair color bottles help to ensure precise application of hair dye. Our white polypro jars with unlined caps could be great for storing or packaging hair color stain remover pads to clean up excess dye.